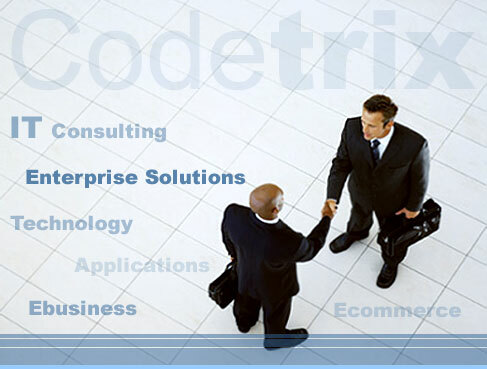 Codetrix provides integrated business solutions to meet the changing demands of today's businesses. From accounts, payroll and forecasting, to customer relationship management and e-business, the Codetrix product range is designed to create a system where data is shared between programs. Our software and solutions saves time and money whilst increasing accuracy and efficiency. Codetrix software is easy to use, and is supported by a wide range of services, from training courses, to stationery, to telephone support, and online advice. Upgrade paths mean that the software can grow with you as your business develops.